#NintendoSwitch O'clock's tweet - "Nintendo Direct announced for 13 February. 35 awesome minutes of Switch goodness including details on Fire Emblem Three Houses! 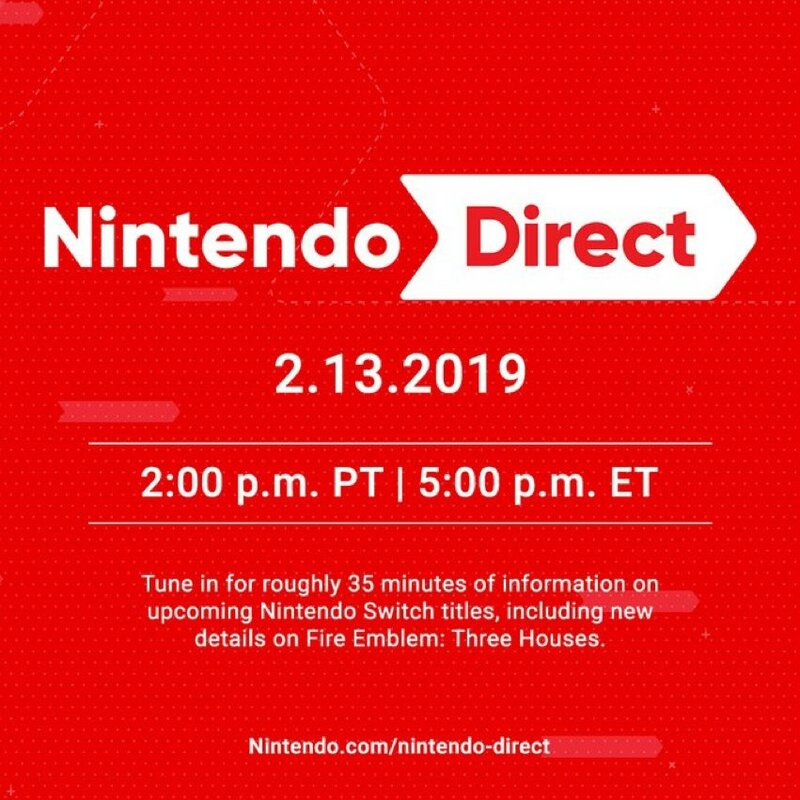 #NintendoDirect #NintendoSwitch "
Nintendo Direct announced for 13 February. 35 awesome minutes of Switch goodness including details on Fire Emblem Three Houses!